Rolling hills in a well established city park. Multiple pin placements on all holes. Plays under large trees and other ornamental trees and bushes. Par varies from 54-58. River Des Peres to Geavois Rd NE. Left on Hampton Ave. to park entrance on the left. 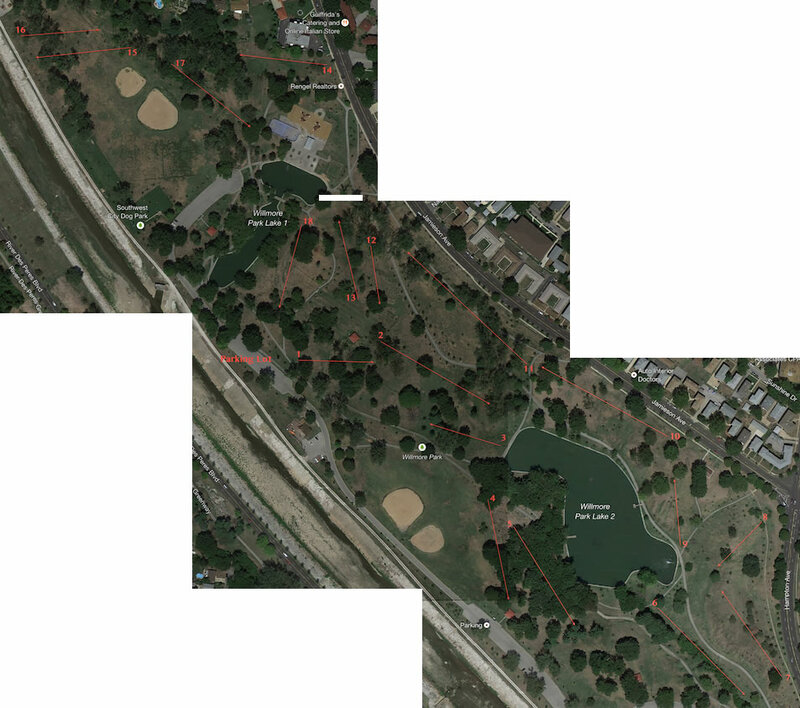 Have you played at Willmore Park Disc Golf? Be the first person to review this course!